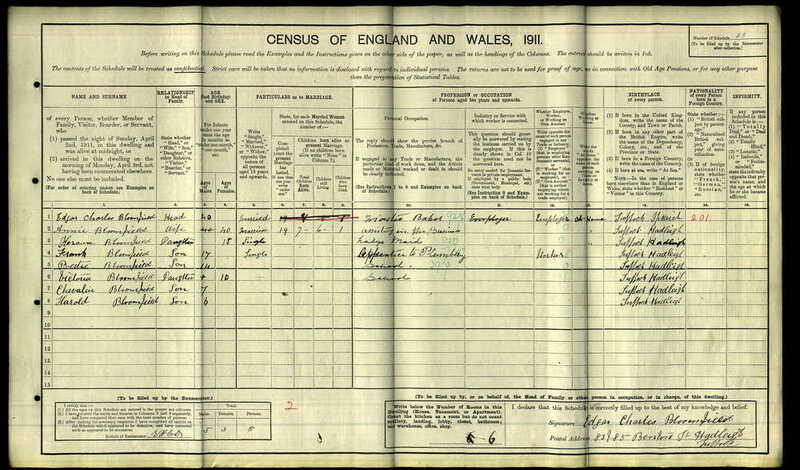 Frank was born in Hadleigh in 1894. 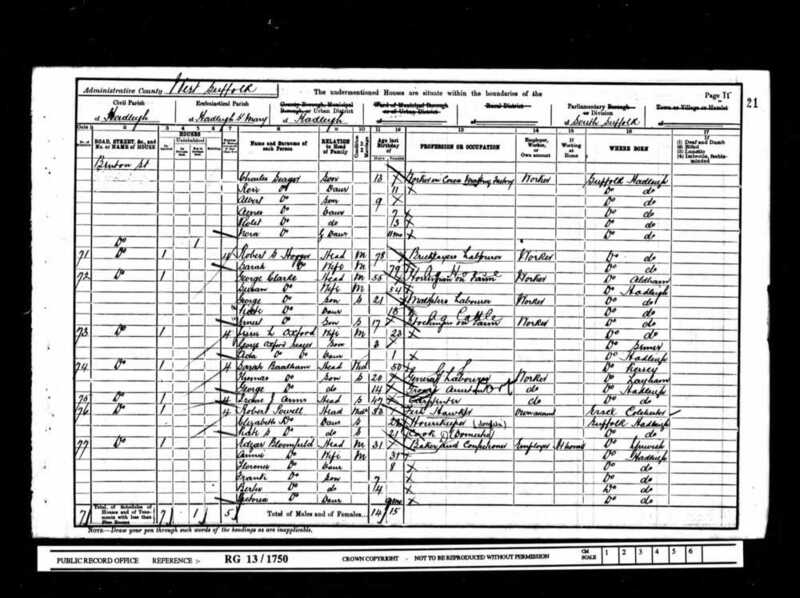 The 1911 Census report him living at home with his parents and siblings at 83 and 85 Benton Street, Hadleigh. At that time he was employed as an apprentice plumber. 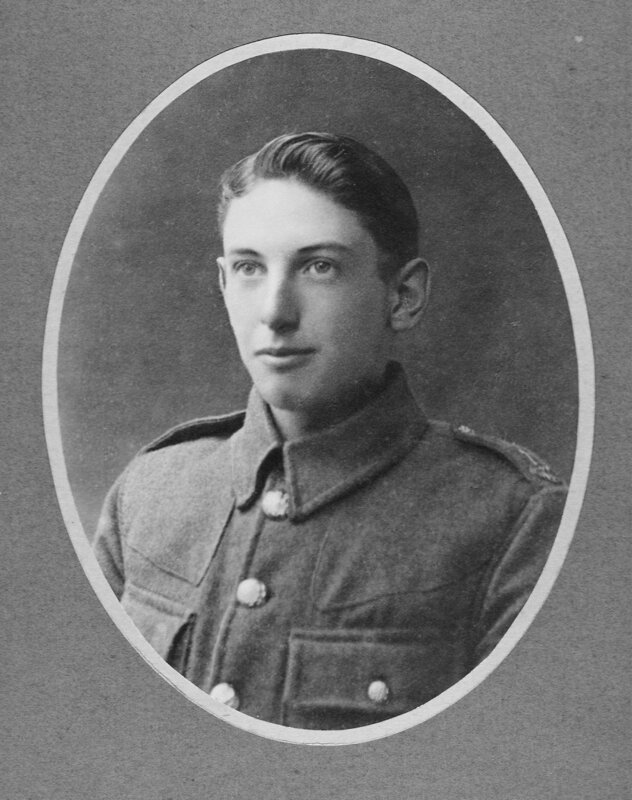 We are not exactly sure when he enlisted into the army, but it seems like many other young men from Hadleigh, Frank joined the local territorial battalion, the 5th Battalion the Suffolk Regiment. 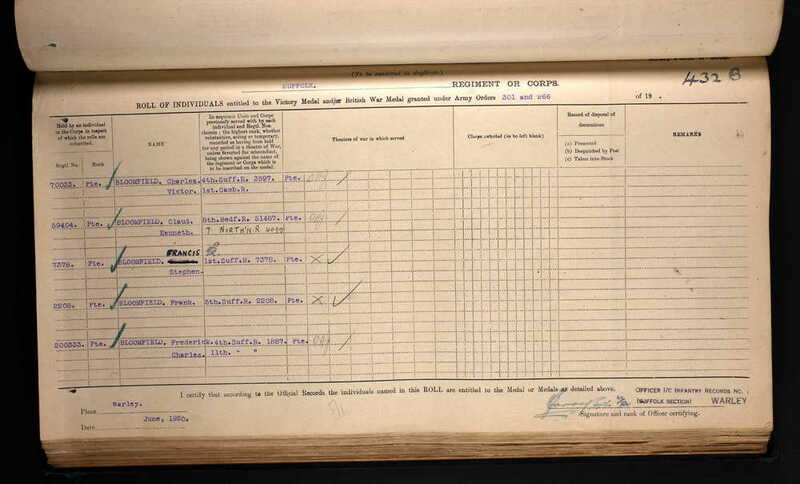 If we assume that Frank had joined the battalion before war broke out then we know that he would have been mobilised on the night of the 4th/5th August 1914. 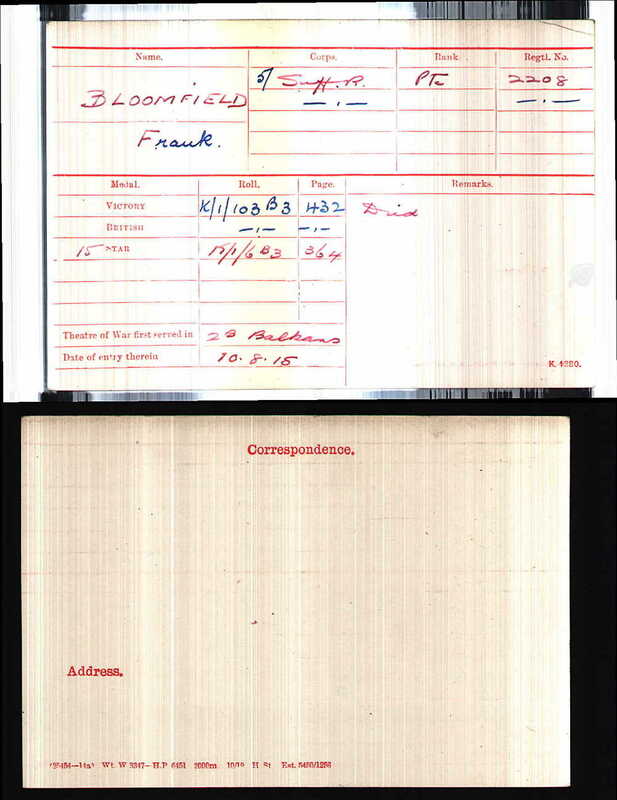 The whereabouts of Private Frank Bloomfield 's Medals are not known, however, he was entitled to the above three medals. 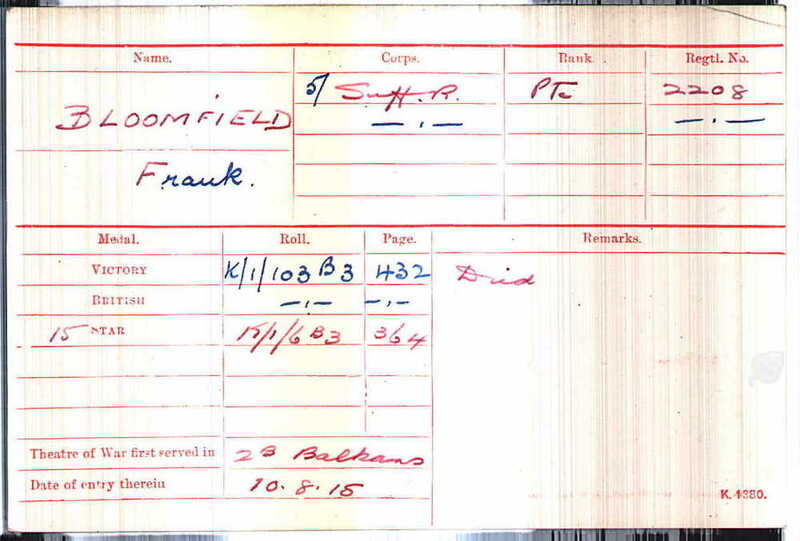 We hope that this page has been able to tell the story of Frank Bloomfield. If you know of any information which might help to add to the story then please get in touch.